75kvdc high voltage cable 3m for X-ray machines.Play an important role in transmission.In the use of X-ray machines, it is easy to be broken, and repair is difficult to master.For this reason, we summarized some reasons for the failure of High Voltage Cable. One reason was that the rubber was aging and its insulation strength was reduced due to long-term dampness or ultraviolet irradiation. Second, the quality of 75kvdc high voltage cable 3m is poor, and the thickness around the rubber layer and the core wire is uneven. Careless cutting damage during assembly, burns the rubber during welding, discharge caused by incomplete cleaning surface, and poor welding of the core wire and plug.Thirdly, the filling agent of perfusion has low insulation strength, resulting in breakdown. Fourth, the 75kvdc high voltage cable 3m often twists, hard breaks or stresses, making the insulation cracks damaged and breakdown. 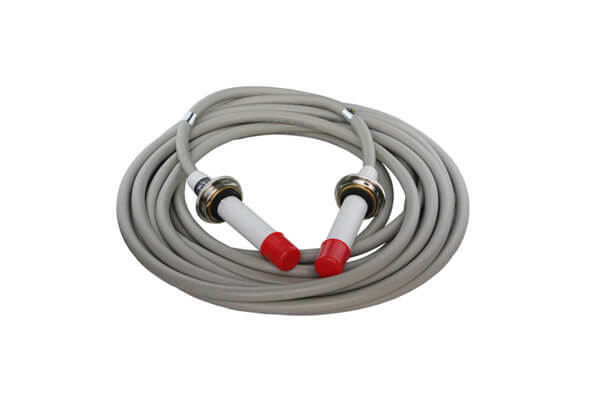 Fifth, there is no sudden wave resistance or sudden wave resistance damage, and self-rectified X-ray machine high-voltage cable easy to breakdown. To this end, Newheek summarized the improvement and maintenance of 75kvdc high voltage cable 3m. Firstly, the insulating rubber layer and the inner wall of cable plug should be cleaned, without any dirt, and the possible moisture should be removed with an electric hair dryer before welding. Secondly, avoid the damage and deformation of insulating rubber or plastics caused by over-temperature filler. Avoid hard folding and heavy load of high-voltage cable. When hanging the 75kvdc high voltage cable 3m, use a curved ring trough hanger. Do not hang directly on the hook or use strapping method for suspension. Newheek 75kvdc high voltage cable 3m is divided into 75KV and 90KV, which can be selected according to their own needs. Our 75kvdc high voltage cable 3m can meet your different purchasing needs.